In February of each year, the Association for the Advancement of Artificial Intelligence nominates individuals for their outstanding accomplishments in the field of artificial intelligence. These accomplishments can range from pioneering advances in the theory of AI to AI technology and applications. 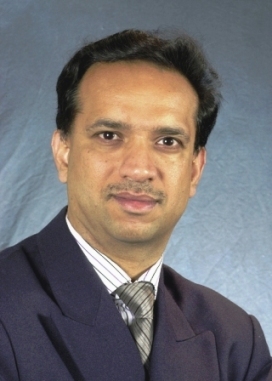 This year Dinesh Manocha, MRC member and visiting professor in the Departments of Computer Science and Electrical and Computer Engineering at UMD, is among the eight individuals who have been selected Fellows. Manocha has been recognized for his significant contributions to robotics and multi-agent simulation. Congratulations to Dr. Manocha. Dinesh Manocha will be joining the UMD faculty on May 1, 2018 and is currently a Phi Delta Theta/Matthew Mason Distinguished Professor in the Computer Science Department at the University of North Carolina, Chapel Hill.